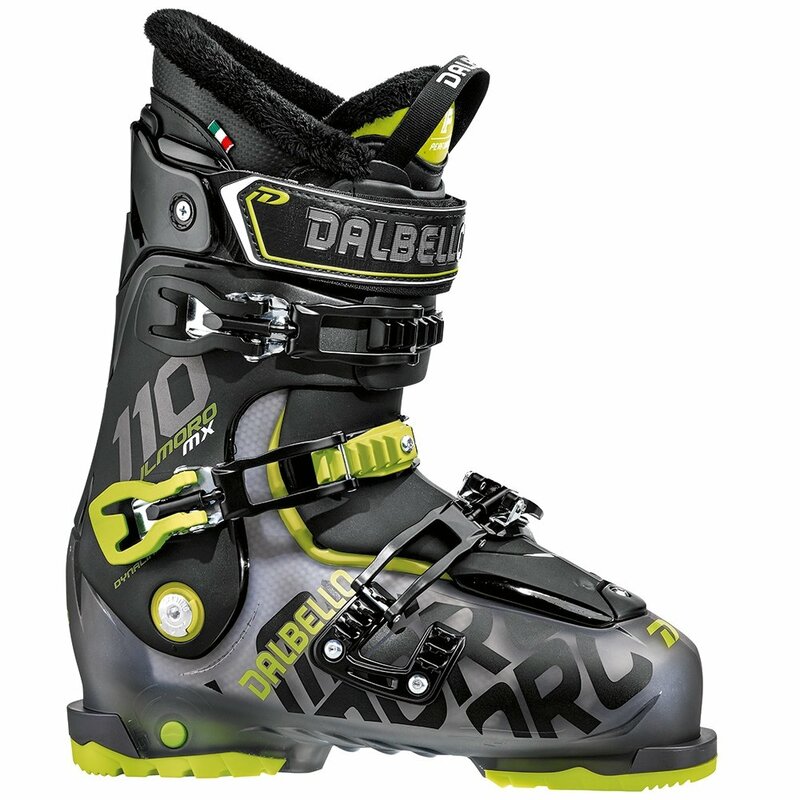 Freestyle is so much more than lapping the park, so the Dalbello Il Moro MX 110 Ski Boot is designed to make it easier for you to express yourself anywhere on the mountain. The Cabrio Design uses three separate pieces for the upper, cuff, and tongue of the boot giving you tuned performance and superior fit, and the Low Cuff Hinge Point makes it easier to get your ideas down from your brain and into your skis. Underfoot the Landing Gear Footbed and Anti-Shock Heel Inserts smooth out rough landings and high-speed chatter, and adjustable flex lets you tune response to suit your needs.